Christmas came. Christmas 2014 is over. Most of the day I spent by myself, remembering past holidays when my own children were little. And of course, that also got me recalling the wonderful and cherished family members that attended Christmases when my brothers and I were little kids. So I mostly had a day of reminiscing and MISSING CHRISTMAS. My own parents were much younger than I am now when I was a little child and we had large family gatherings at our home filled with lotsa favorite cousins and Aunts and Uncles, as well as my beloved Grandparents. (The Grandparents and all of the Uncles are gone now and I have 1 Aunty left) After devouring a most scrumptious meal lovingly prepared by the fabulous cooks in our family (everybody had their ‘specialties’ which we came to expect and look forward to), the bigger kids would help to clear away dishes and arrange kids in the living room, my Daddy would mysteriously disappear, and soon thereafter Santa would come and hand our gifts. We had joyous holidays at our home. 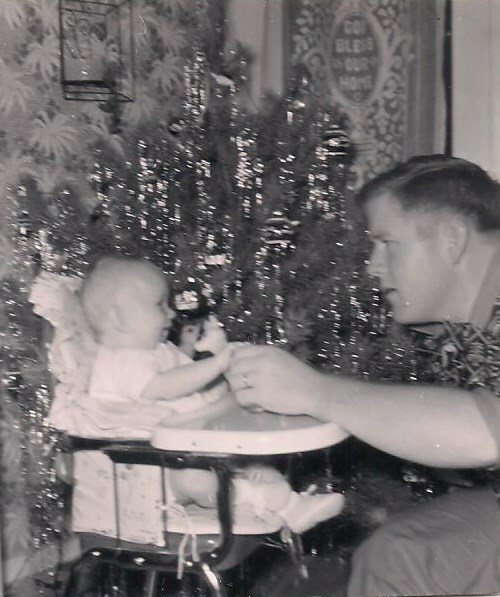 Now my precious Daddy, pictured with a 1-year-old ME in the photo, is celebrating Christmas in heaven, and has been for a few years. I am sad, and the tears still flow because I miss him sooooo much. But I have learned not to be selfish, for I know that this is his ‘reward‘ and it is surely glorious beyond anything that my mind can imagine. 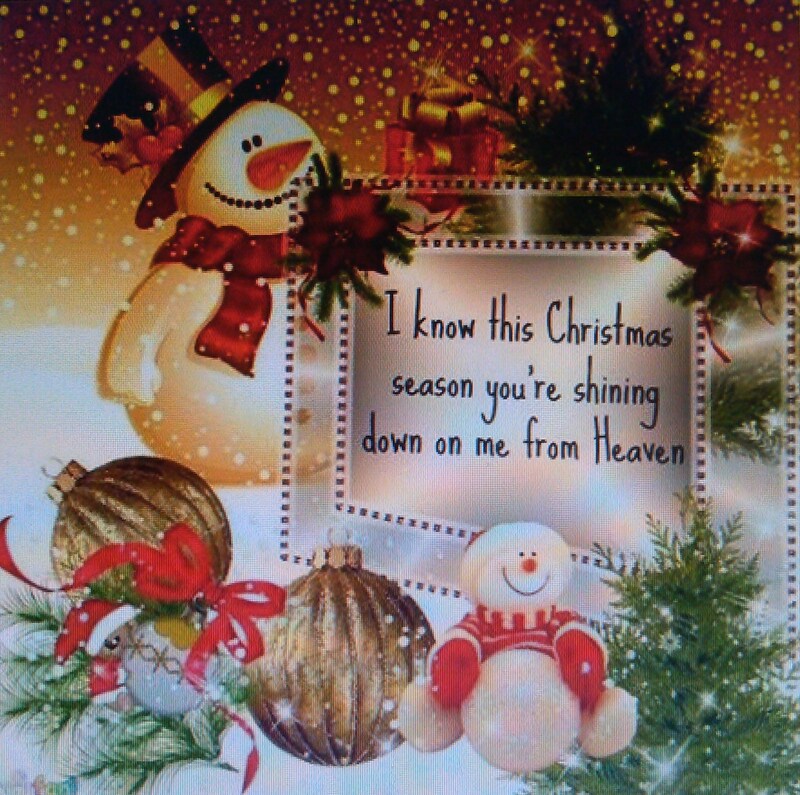 Besides, this is Daddy’s very first Christmas in heaven with ALL 5 of his big brothers and his sister and his folks so I’m certain that they’re having a GRAND TIME! 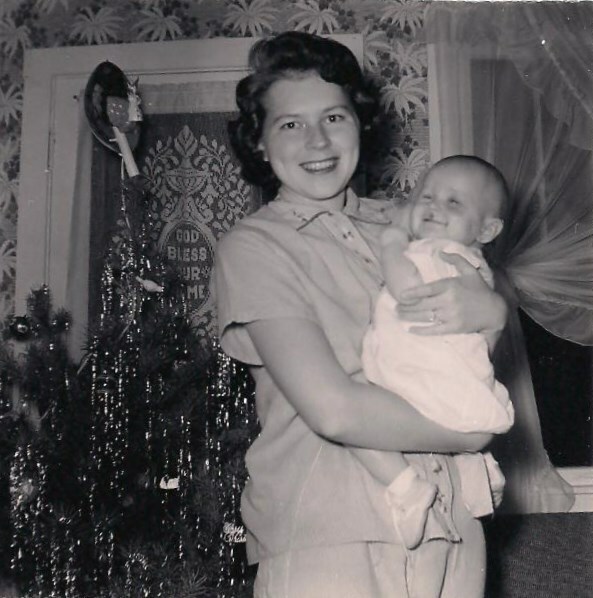 I still am blessed to have my darling Mama, pictured with me in the photo of my 1st Christmas, even tho she’s spending Christmas at her Hoosier home in Indiana. She does always hope for that ‘White Christmas‘, whether or she gets it is another story! The only white that I wanna see in the winter is the sugary white sands of the beaches on the Gulf of Mexico! I’m also missing my baby boy this Christmas. 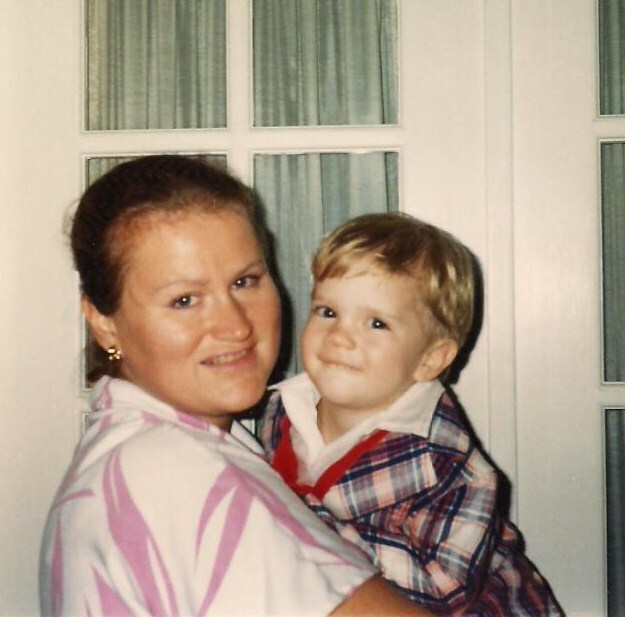 That’s him pictured with me when he was a young’un. He lives in PA with his fiancee and wasn’t able to come home to FL for Christmas since he’d just been here in October. But I’ll be seeing him in April when we all gather in Indiana for Mama’s 80th Birthday Celebration! So even tho I spent most of my daytime yesterday MISSING CHRISTMAS, in the evening I did get to have supper with my other 2 kids and my daughter-in-law! We had a yummy meal and then our gift exchange at my son’s apartment. I enjoy living in central Florida; the down-side is sharing my kiddies with the tourists since this is officially ‘The Tourism Capital of the World’! My daughter and my son and his wife DO WORK for a giant Mouse, after all! Even tho it’s not cold here….it is very festive!